A two bedroom double unit situated in the popular Cranbourne Hall Park development in Winkfield comprising of kitchen, bathroom and open plan lounge diner. There is parking for three cars and outside areas to the rear and side of the mobile home. 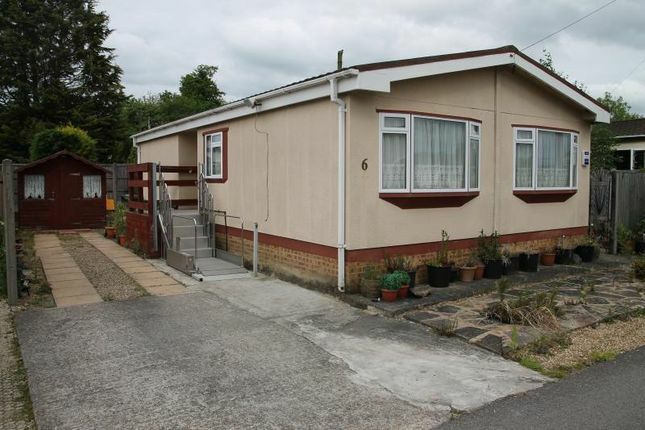 This property is fitted with disability equipment including a wet room and disabled access to the unit. Fitted storage can be found throughout. Wheel chair access to the property leading up to a decked area and a UPVC double gazed front door which opens into the Entrance Hallway. A single radiator is present and additional benefits include storage cupboards. situated to the left of the entrance hall is the second bedroom which looks out over the rear of the property. Built in wardrobes and drawers are present. The room also benefits from a vanity wash hand basin with under storage, a radiator and double glazed window. A well lit room by a double glazed window over looking the back of the property. Fitted storage units are also available in the room consisting of wardrobes, drawers and bedside units. Fitted with disability aided equipment. The room is in the layout of a wet room with overhead shower and wash hand basin. The walls are tiled and the flooring is vinyl. A frosted double glazed window is positioned to look over the back of the property creating privacy. The kitchen comprises with a range of eye and base level units. With an integrated stainless steel sink. Appliances consist of a freestanding oven and freestanding fridge freezer. There is also space and plumbing for a washer dryer. The wall mounted boiler is also present in this room. Storage cupboard housing the water tank. A light and airy room provided by a triple aspect double glazed window over looking the side of the property and two windows overlooking the front. Ample power points and TV points and fitted shelving unit. Open plan to the lounge. Private pebbled rear area with oil container for the oil fired central heating, paved side areas and Parking at the front for three cars.